Guignard will oversee electrified powertrains and will be responsible for helping PSA meet CO2 emissions standards. PARIS -- PSA Group has created a new electric vehicle business unit and reorganized its powertrain management structure as it prepares to launch electrified versions of all its models starting in 2019. Alexandre Guignard will lead the new Low Emission Vehicles business unit as a senior vice president. Guignard will oversee development of electrified powertrains across all of PSA's model range by 2025. He will also be responsible for helping PSA meet fleet CO2 emissions standards, including the 2020 European Union regulations. The automaker will launch full-electric versions of its Peugeot 208 and upcoming DS 3 Crossback cars in 2019, company executives told investors last year. The Peugeot 2008 will get a battery-powered option in 2020. 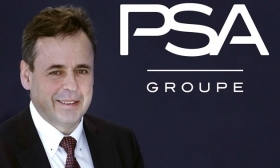 Guignard was previously in charge of the development of large and compact vehicles for PSA. His unit will report to Linda Jackson, CEO of the Citroen brand. He replaces in an expanded position Alain Raposo, who previously headed PSA's programs and strategy for electric vehicles. Raposo becomes head of powertrain and chassis engineering, PSA said. In his new role Raposo succeeds Christian Chapelle, who will lead cost-saving operations for the automaker's Middle East and Africa regions. Raposo joined PSA in July 2017 as senior vice president for electric vehicle programs. He had previously been global vice president in charge of powertrains and electric vehicle engineering at the Renault-Nissan. He left that post in December 2016, as Renault and other automakers faced questions from French regulators over real-world diesel emissions. Raposo began his career at Renault in 1987 and held various management positions in engineering and powertrain development. 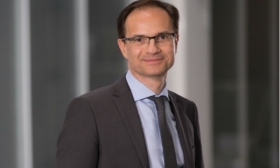 He started in his new position April 1 and reports to Gilles Le Borgne, PSA's executive vice president for quality and engineering. Elsewhere in the French auto industry, Michael van der Sande has stepped down from his post as head of Renault's revived Alpine brand after two years. Van der Sande, an industry veteran who has worked at Nissan, Rolls-Royce, Bentley, Harley-Davidson, Aston Martin and Tesla, becomes managing director of special operations at Jaguar Land Rover. He replaces John Edwards, who is leaving the company in June after 27 years, Jaguar Land Rover said in a news release. Van der Sande will oversee Jaguar's SVR high-performance models and Jaguar and Land Rover classic continuation models.